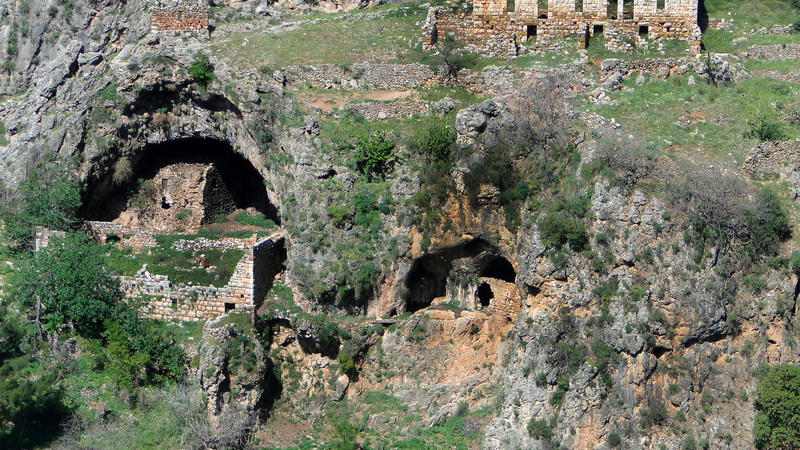 North Lebanon is full of beautiful beaches, historical sites and delectable local treats. Here are our best picks for an exciting itinerary across three northern Lebanese regions: Batroun, Bsharre and Tripoli. A L’Hôte Libanais Family member awaits you at each destination. 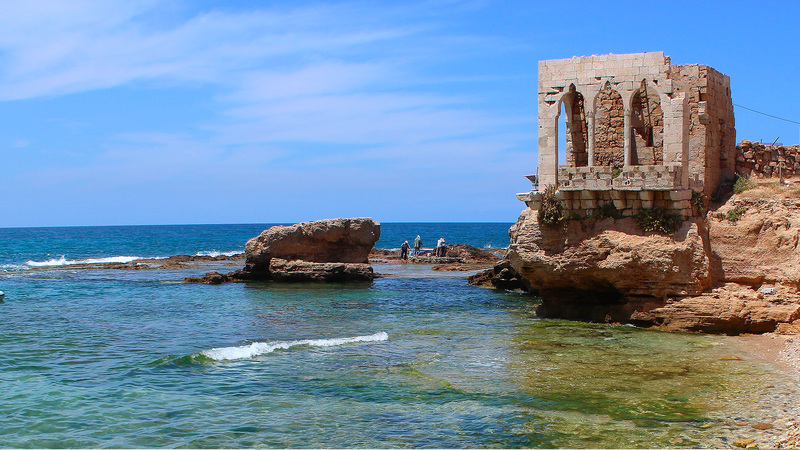 Our first stop is the charming coastal town of Batroun. Visitors will be captivated by the crystal clear waters and rocky beaches that give the town life. Batroun was once a Phoenician harbour surrounded by citrus groves, and the traces of an ancient seawall built thousands of years ago by the city’s first inhabitants remain to this day. Aside from the town’s historical charm, visitors can enjoy its exceptional delicacies, starting with a fresh cup of lemonade—arguably the best in Lebanon. On the seaside road north of the Madfoun checkpoint and past the crowded beach restaurants, you’ll find Joining Beach, a quaint joint off the main road, nestled among the rocks. This modest chalet serves delectable seafood (we highly recommend the squids “à la provençale”) in a simple, relaxing atmosphere. The flaneurs can lay back on the rocks and enjoy the Batroun sun, while the more adventurous can jump off the nearby cliffs and discover Batroun’s underwater grottos. Looking to grab a drink? Head over to Colonel’s Microbrewery, a local establishment founded in 2013 that is well worth the detour. Its crafted beers are full of character and offer a welcome alternative to the mass-produced ones. Wine lovers rejoice! The Batroun district is also home to many vineyards that have planted their roots in the region over the last ten years. Follow the wine trail that weaves its way through the area and sample unique, boutique creations at any one of the wineries that call Batroun home: Ixsir, Aurora, Abdelli; just to name a few. To spend a night at the vineyard, opt for Abdelli Terraces, a member of the L’Hôte Libanais Family. The guesthouse and vineyard offers breathtaking views of surrounding hills and valleys, as well as the sea. You can savour the estate’s red wine and delicious cuisine during their traditional week-end buffets, and feel the community spirit that embraces the village of Abdelli. Other members of the Family in Batroun are Beit Douma and Beit Al Batroun, offering charm and unparalleled views of the region. Reem Joudi is an MA graduate in Media Studies from the American University of Beirut. She previously studied International Economics at Georgetown University but no matter where her academic endeavors may lead, her passion remains storytelling through the written word. She works as Communications Associate at L’Hôte Libanais, and freelance writes for online and print arts, culture and travel publications. Her motto is simple: life is too short for bad coffee and regret. Bsharre is a charming town of red-tiled roofs nestled in the heart of the Qadisha valley. The inland road to reach it is impressive, meandering through steep gorges and twisting between snowy peaks and cliffs marked by cascading waterfalls. Dozens of monasteries are carved out of the rocky slopes, and are accessible through hiking trails. A good option is to follow the path towards the Hermitage of Our Lady of Hawqa. You may encounter Father Dario, a Maronite hermit from Colombia, who chose to spend the rest of his life meditating in the Holy Valley fifteen years ago. The renowned poet, writer, and philosopher, Gibran Khalil Gibran, was born in the town of Bsharre. His hometown remembers his legacy with the Gibran Museum, a former grotto that houses the writer’s personal belongings, private library, and works. The region is also known for its cedars; more specifically the Forest of the Cedars of God, which was mentioned several times in the Bible. The forest is one of the few sites that preserves the original Lebanese Cedar, which is a heavily-valued raw material in the antique world. Perhaps the best way to explore Tripoli is through interacting with locals passionate about their city. L’Hôte Libanais offers a charming accommodation option in the nearby village of Hasroun. Jacqueline, distinguished lady of the house at Dar Qadisha, becomes a second mother to all her guests. She cultivates vegetables, fruits, and herbs in her garden, and concocts delicious homemade jams, preserves, and arak, which she will happily make you taste for breakfast. After a stay in the mountains, head back down towards Tripoli for a change of scenery and a captivating urban experience. As Lebanon’s second-largest city, Tripoli houses plenty of heritage sites and traditional soap, copper, and pottery factories that have sustained its economy throughout history. A few highlights are the old souk, which sells all types of vintage, culinary and commercial products, the olive oil soap factory Khan Al Saboun, and Qasr el Helou a traditional Arabic sweets shop founded in 1881 and owned by the Hallab family, whose high reputation is known all over the country. Be sure to try the halawet al-jibin, a speciality of the store’s. Perhaps the best way to explore Tripoli is through interacting with locals passionate about their city. You can stay at Beit El Nessim, a charming L’Hôte Libanais Family member in the Mina (port) area. The 150 years old, renovated villa is run by Nabil and Maya, who will be more than happy to update your itinerary. Right behind the port’s mosque you’ll find Abou Fadi, who serves fresh, delicious seafood sandwiches. Before you return to the bustle of Beirut, stop by the town of Enfeh for a relaxing weekend repose. Enjoy the sun, sand, and sea at Taht el Rih beach, which appropriately translates to “under the wind”. The quiet peninsula boasts remains thousands of years old, and Enfeh‘s shore is one of the rare places in Lebanon with free public cabins. Here you’ll find blue and white-painted chalets, reminding one of carefree Greek islands, as well as the tiny shop Salim Sur Mer, which offers all the necessary victuals for a day at sea.